April has been a month of conferences and school visits. Each week I’ve been away from home, in a hotel, and I now don’t envy my business-suited brothers as much as I once did. But these trips have also been a blessing. At the NESCBWI conference a woman introduced herself and recalled meeting my mother, Margery Facklam, many years ago at another conference. The woman was alone, new to the world of children’s writing, homesick, and feeling isolated in a sea of writers until my mother, speaking at the conference, invited the woman to have ice cream. In a little pack of writers old and new, published and unpublished they sat in the grass, talked and laughed, and the woman felt right at home. “I’ll never forget that,” she said to me. At the ASJA conference, when my panel was over, I was tired and ready to put my feet up, but I made myself go to the little reception they were having at the end of the day. I wandered, quite alone in a sea of writers, until I pushed myself toward a partially full table and asked to sit down. Then another woman joined us and suddenly we were a group. After pulling out business cards and sharing titles, the woman gasped, “Margery Facklam?” “Yes, that’s my mother,” I told her. And she shared with me how my mother drew her into the world of writers. Years ago she saw my mother on a local news program, called the TV station and asked for more information. Before HIPA and identify theft, the TV station gave her my mother’s phone number. Mom talked to her about writing, offered to look at her manuscript, and even invited her to join a critique group. “She made me feel like a real writer,” she said. There is a saying that you should be an angel to at least one person every day. My mother was an angel to many people in the writer’s world and I am blessed to hear the stories, especially in a time when my mother’s memory is failing her. I can remind her of past places and faces so that she still feels connected and right at home. But it makes me wonder – was I an angel to anyone at these conferences? I have stepped into my mother’s shoes as writer, speaker and mentor – but how successfully have I filled them? At the conferences I spoke at, did I inspire? Did I draw them in? Did I make them feel at home? Did I encourage them to continue writing? Perhaps years from now I will know, or perhaps I will never know. I just hope that, like my mother, I will be someone’s angel everyday. This weekend I had the pleasure of being on a panel with 4 extraordinary nonfiction authors – April Pulley Sayer, Loree Griffin Burns, Pamela Turner and Sallie Wolf. We were speaking at the National Science Teachers Association Conference in Indianapolis. Along with educators who have served on the NSTA/CBC Outstanding Trade Book Committee, we were there to talk about Science and Literacy. I was flattered to be included on such an illustrious panel, but also a little intimidated. However I soon felt right at home when we all met each other for the first time. Writing is such a solitary endeavor that it is a great treat to talk to people with like minds. I loved hearing that Loree and Pamela both had aspirations to be a scientist as I did, and like me put those dreams aside for marriage and children. Some people may condemn us for “settling” or giving in to traditional pressures, but those people do not realize that we have the best of both worlds. As nonfiction science writers we are every bit as driven and committed to science as we would be if we wore a lab coat. Our commitment is to make science accessible to children, who are the most receptive and eager to learn it. One science teacher I met at NSTA mentioned a research paper that stated most scientists got hooked on science when they were 8 or 10 years old. I love to hear that. Because I feel like it is my job to dangle that well-baited hook in the water with my books, and I’m sure my fellow panelists would agree. 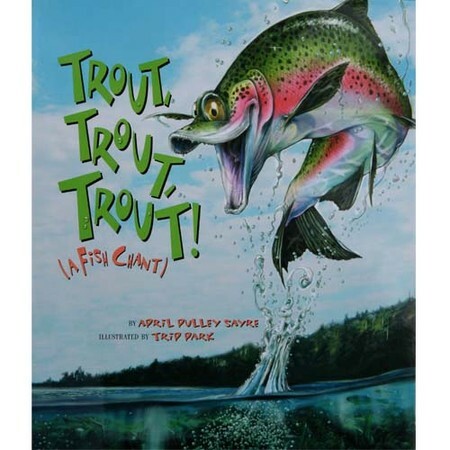 April mentioned her love of the “scientific voice” and filling kids with “delicious words,” which she does so brilliantly in her chants like, Trout, Trout, Trout, and Rah, Rah Radishes. Another attendee mentioned that text books are designed to give you all the answers, but trade books leave you asking questions. I liked that. Loree said that in her books, like The Hive Detectives, she tried to present information and then ask, “So, what do you think?” And Pam, too, leaves room for the child to wonder, to think and make up their own minds. She gave the example that in her new book about dolphin cognition, she lays out all the information about how smart dolphins are and then poses the ethical question of whether these animals should be kept in captivity. She guides but does not dictate. She makes children think. And when children are allowed to think then all sorts of wonderful things happen. Sallie mentioned that her love of nature was nurtured by teachers, especially one teacher who taught her how to band birds, and observe nature, a habit that led to her newest book A Robin Makes a Laughing Sound, which contains poetry, observations and sketches that came directly out of her personal journals. Sallie encourages kids to "live in the questions." I love that! Hmmm -- Personal observation and discovery, delicious words, guiding and thought provoking, elegant and truthful – sounds like a nonfiction trade book to me. At the end of our session, a teacher approached me and held up For the Birds. “I love this book,” he said. “If I had had this book as a kid, this would have been the book I would have kept always.” I just beamed. There is no higher honor than to be the author of a child’s treasured book – especially when it is a nonfiction trade book.